Last week, we discussed why the House Agriculture Committee’s Farm Bill, with its draconian work requirements, would be bad for Montana workers. But the proposed legislation could also have negative ripple effects across the state’s economy. This legislation would enact such hard work requirement that millions of workers to be ineligible for SNAP. Expecting the reduction in enrollment, the bill cuts billions in SNAP benefits. Instead of providing help to families that need it, the “savings” from the cuts will be shuffled to administrative costs and risky new work programs (more coming up on that topic tomorrow). But this massive cut in benefits won’t only take food off the tables of Montana households, it will also take money out of local grocery stores and endanger agriculture jobs across the state. SNAP helps thousands of Montana families and individuals living in or near poverty gain some security during difficult times. In December of 2017, 56,000 families with a median income of $18,000 participated in the program. While benefits are modest – the average Montanan on SNAP receives $115 a month – the economic benefit is much larger. In 2016, SNAP injected $170 million federal dollars in to the economy. And for every dollar spent on SNAP benefits, $1.80 in economic activity is generated. Families are able to increase the amount of money they spend on food, and are also able to free up money to purchase other necessities. This increased spending ripples through the economy, flowing from households, to grocery stores, all the way back to farmers and ranchers. 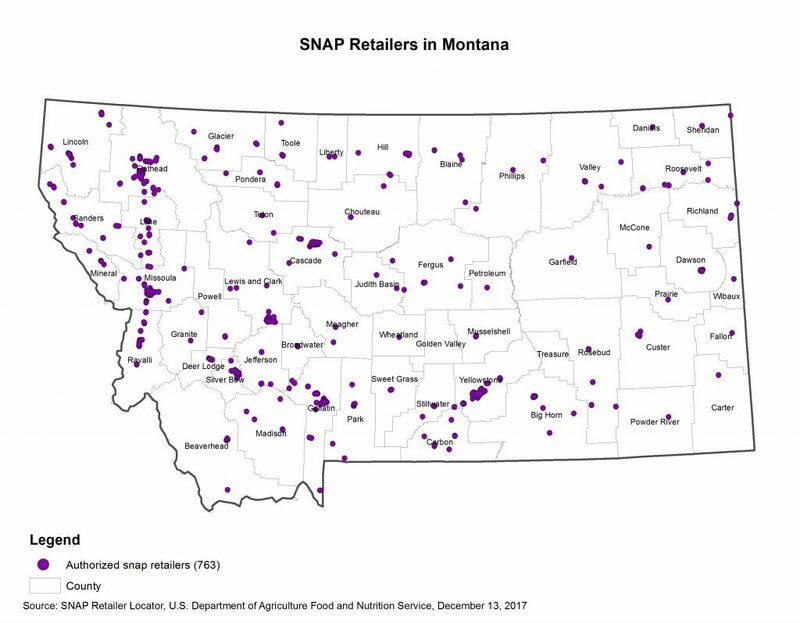 In Montana, 763 retailers accept SNAP benefits, from large chains, to farmer’s markets, to local mom-and-pop stores. Our agricultural economy benefits from SNAP as well. Every $1 billion increase in SNAP funding creates 9,000 full-time equivalent jobs across a variety of sectors, one in ten of which are in the agriculture sector. Additionally, this funding generates $92.6 million of agriculture production, and $32.3 million in increased economic activity. But the proposal to cut a net $17.3 billion in SNAP benefits over ten years and shift it to administrative and work programs could spell danger for Montana’s farms and ranches. Rather than strengthening a vital safety net which helps families through difficult times, the proposed Farm Bill would impose harsh work requirements, cut billions in benefits, and actually endanger the livelihoods of thousands who work in the agriculture sector. Just a few months ago, Congress passed a lavish tax cuts for large corporations and wealthy individuals that will cost $1.5 trillion over the next ten years. 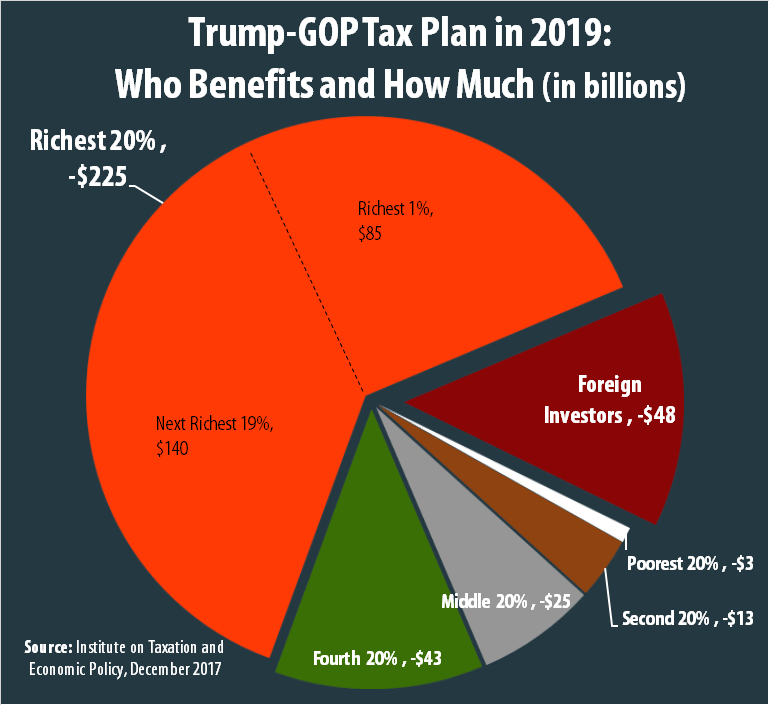 According to the Institute on Taxation and Economic Policy, the richest 20 percent of tax payers will get $225 billion in tax cuts – by far the lion’s share – compared to just $3 billion among the poorest 20 percent of American taxpayers. The proposed Farm Bill will further the economic divide, by taking food from struggling families and endanger Montana’s economy. 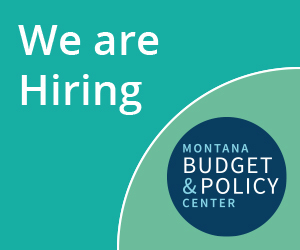 In tomorrow's blog we will discuss why funneling money away from benefits and into a risky new work program could create significant problems for the state of Montana. In the meantime, be sure to read our latest report on SNAP in Montana: SNAP Helps Grow a Healthy Workforce and Economy.